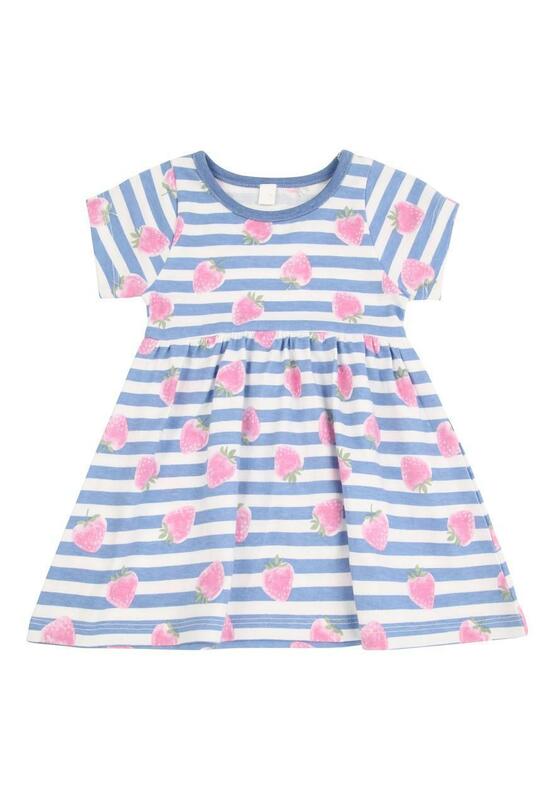 Add some cute jersey dresses to her collection with this stripe and strawberry addition. 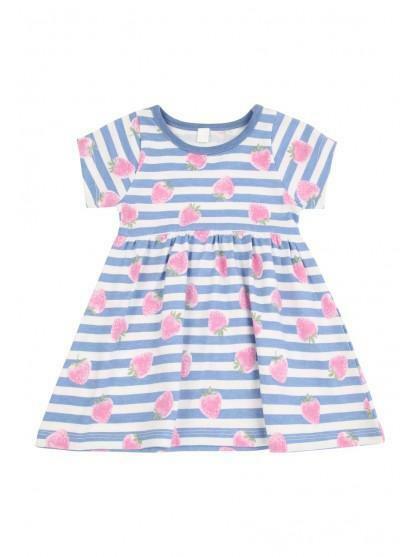 Featuring a round neck, cap sleeves and a skater style fit, this is perfect for sunny days out in the string. In a soft jersey, this is sure to keep her cool.